At the Green Bay Record Convention on Saturday, one of the record diggers asked whether I had any spooky or eerie music. No, sorry. But I did have a suggestion. So here, adapted from a blog post written 10 years ago, is my take on Halloween and my recommendation for that gent. Halloween is not my thing. We always went trick-or-treating when we were kids, but we never had the cool costumes. Our parents raised three boys on a rather modest income, so we would get a mask — usually a popular cartoon character — and that would be about it. Just the way it was. On Halloween 1970, we were visiting my grandmother, so we had to go trick-or-treating in her town that Saturday night. Grandma lived in an old rental house in a rundown neighborhood hard by the railroad tracks in a small central Wisconsin town. We were kids, so we never really noticed. It was just Grandma’s neighborhood. After a short while, the door creaked open and a disheveled middle-aged woman peered out. Startled, it took her a couple of moments to comprehend what we were doing there. I was only 13, but somehow, I knew what was going on. She wasn’t expecting anyone. The woman didn’t say much — maybe “Oh, my” — and then walked away from the door. Through the screen door, we saw her rummaging around a table. She came back to the door and dropped a couple of pennies into each of our bags. The woman who wasn’t expecting anyone didn’t have anything to give anyone, either. I suppose we kept on trick-or treating that night, but that was it for me. Done forever. I’ve always wondered whether the kids in that little town just knew — or were told — not to go down to that house. We were visitors, and kids, and didn’t know any better. Ever since, Halloween has not been my thing. 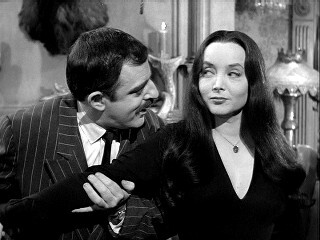 — I greatly prefer “The Addams Family” over “The Munsters.” Make of that what you will. — Horror movies? Also not my thing, though I watched enough of them late at night in the mid-’70s. I had a girlfriend who liked them more than she liked me. The ones I enjoyed most had Vincent Price in them. He was cool, as my friend Andrew explained long ago in one of his lovingly crafted Halloween countdown posts over at Armagideon Time. — I like “The Cask of Amontillado,” an Edgar Allan Poe story in which a man is plied with wine, then sealed behind a brick wall and left to die. I discovered it in high school. Some 20 years later, in 1995, I also dug the “Homicide: Life on the Streets” episode partly based on that story. “The Cask of Amontillado” also is one of the cuts on the only album I associate with Halloween. It is, of course, “Tales of Mystery and Imagination,” the first album by the Alan Parsons Project. It’s a prog rock concept album based on Poe’s stories. By the mid-’70s, Parsons was highly regarded for his work as an engineer on albums by the Beatles, Paul McCartney, the Hollies and Pink Floyd. He then became a producer, then created “Tales of Mystery and Imagination” with Eric Woolfson, who pitched him the idea. 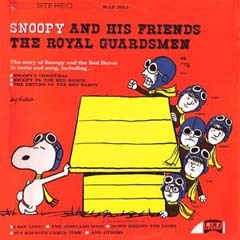 More than 200 musicians played on that 1976 album, which was arranged by Andrew Powell. You know “The Raven” from that album. It wasn’t the single — that was “(The System of) Doctor Tarr and Professor Fether” — but it became more widely played, and rightly so. So, for your Halloween listening pleasure … two treats only. No tricks. “The Cask of Amontillado” and “The Tell-Tale Heart,” the Alan Parsons Project, from “Tales of Mystery and Imagination,” 1976. My copy is the original vinyl. I haven’t heard the late ’80s CD version, to which Parsons added readings by Orson Welles and extra synthesizers. When last we left you, the kid with the red bag was sharing his finds from last weekend’s Green Bay Record Convention. One of them was this record, which I’ve had since the ’70s. “It’s on red vinyl!” the kid with the red bag said. Ooooh, I thought, wish I’d found that. But then I let it go. It was more fun for the kid with the red bag to have that red vinyl. Fast forward to today, a week later. I walk into Rock N’ Roll Land, one of our fine indie record stores in Green Bay. I am scarcely two steps in the door before my friend Todd reaches behind the counter and pulls out a record. “Here you go! I knew I had a copy” he said, smiling gleefully. Not only did Todd have a copy, but it was one of the dollar records. It has a bad skip or scratch. Doesn’t matter because I already have a good copy, albeit on black vinyl. Thanks, man. It’s a fun thing to have, a wonderful gesture and much appreciated. Proof again that you should visit your local record store on Saturday afternoon. You might find a nice record like this. No requests yet, but the dashboard shows people searching for a certain Philly band’s Christmas music. So we’ll make that wish come true tonight. 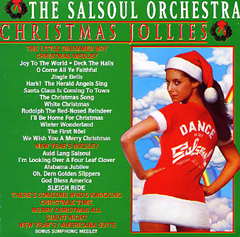 “Christmas Medley,” the Salsoul Orchestra, from “Christmas Jollies,” 1976. You need this at your Christmas party. Don’t get too far away from the mistletoe as you get down to this. There are lots of scary things out there these days. Please feel free to insert the political joke of your choice at this point, but this is not really about that. No, it soon will be Halloween, which isn’t my bag. If Halloween is your bag, please go visit the lovingly crafted posts by my friends Dane over at All Eyes and Ears and Andrew over at Armagideon Time. They really dig it, and they do a nice job with it. Each will have a full month’s worth of Halloween posts for your trick-or-treat pleasure. 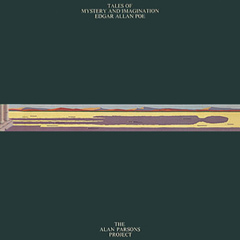 In the unlikely event I want to get into the Halloween frame of mind, I’ll dig out “Tales of Mystery and Imagination,” the 1976 debut LP by the Alan Parsons Project. I’ve long loved its musical interpretations of Edgar Allan Poe stories. Perfect mood music for the moment. “The Raven” is the song everyone remembers from this record, and rightly so. Great song. But did you know “(The System of) Doctor Tarr and Professor Fether” actually was the single? To get you in the mood for Halloween, here’s another cut off that record. “The Fall of the House of Usher,” the Alan Parsons Project, from “Tales of Mystery and Imagination,” 1976. This is a 15-minute instrumental epic, complete with five movements titled “Prelude,” “Arrival,” “Intermezzo,” “Pavane” and “Fall.” It’s the only cut on the record on which arranger and conductor Andrew Powell shares a writing credit with Parsons and executive producer Eric Woolfson. By the time he teamed up with Parsons for this record, Powell already had worked with Donovan, Leo Sayer, the Hollies, Al Stewart, Humble Pie and John Miles. Powell and Parsons worked together on all the Alan Parsons Project records that followed. While you’re surfing: You also may wish to wander over to The Midnight Tracker, our other, more lightly traveled blog, for a little bit of click or treat. Bonus video: Suggested by my friend Larry in the comments. Enjoy “The Raven” by Glass Prism, recorded in 1968 and released in 1969. We were talking the other night about Christmas presents for our son, who’s 15, a sophomore in high school. At issue was whether we have that one big gift, the one with the wow factor. That is a suede leather Converse All-Star basketball shoe, gold with black trim. I, too, was a sophomore the year I got a pair. It was a big deal. I’m not sure my parents fully understood the attraction, but they popped for the $15 — almost $75 in today’s dollars — to get them. I wore them until they wore out, then kept them around for years as something close to sandals. There are other good memories of that one big gift. The Tickle Bee game, G.I. Joe, the Packers helmet and jersey, and, of course, that Panasonic AM-FM radio. Now we have one big gift for you. More of our favorite Christmas tunes, the ones without which it wouldn’t be Christmas. “Happy Xmas (War Is Over),” John Lennon and Yoko Ono, the Plastic Ono Band and the Harlem Community Choir, released as a single, 1971. 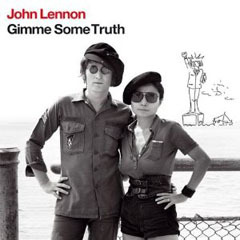 A remastered version is available on “Gimme Some Truth,” a 4-CD compilation released earlier this year. “All I Want for Christmas,” Timbuk3, 1987, from “A Different Kind of Christmas,” 1994. It’s out of print. Pat MacDonald grew up here in Green Bay and has returned. These days, he performs as pat mAcdonald — he insists on that spelling. His gig notices also say “Timbuk3 (no space!) is to be mentioned in a biographical context only.” So there! 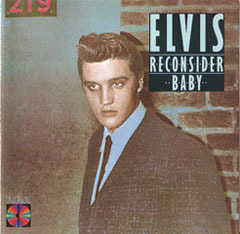 “Merry Christmas Baby (alternate edit),” Elvis Presley, 1971, from “Reconsider Baby,” 1985. It’s out of print, and pricey if you can find it. It’s my favorite Elvis record, full of his blues tunes. That it’s on blue vinyl is just icing on the cake. “Twelve Days of Christmas,” Bob and Doug McKenzie, from “Great White North,” 1981. 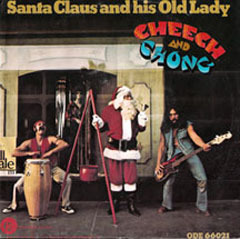 “Santa Claus and his Old Lady,” Cheech and Chong, from Ode single 66021, released December 1971. Also available on “Where There’s Smoke, There’s Cheech and Chong,” a 2-CD best-of compilation released in 2002. 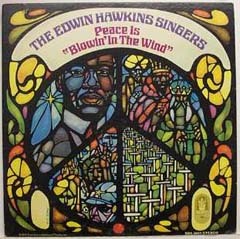 “White Christmas,” the Edwin Hawkins Singers, from “Peace Is ‘Blowin’ in the Wind’.” 1972. 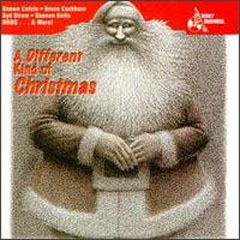 It’s out of print with that title, but is available as “Edwin Hawkins Singers Christmas,” with essentially the same cover. This has a great solo by Tramaine Davis. “Christmas Medley,” the Salsoul Orchestra, from “Christmas Jollies,” 1976. This is 12 minutes of soul, salsa and dance bliss. An instant party starter. “Halleujah! 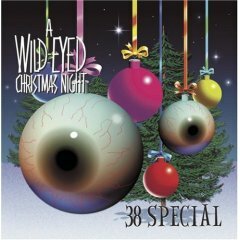 It’s Christmas,” .38 Special, from “A Wild-Eyed Christmas Night,” 2001. 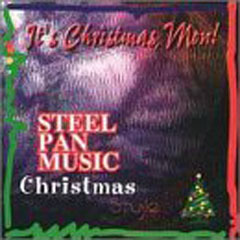 Re-released in 2008 as “The Best of .38 Special: The Christmas Collection,” one of those 20th Century Masters reissues. This joyous, upbeat tune — written by guitarists Don Barnes and Danny Chauncey and lead singer Donnie Van Zant — ought to be a classic. “Feliz Navidad,” Robert Greenidge, from “It’s Christmas, Mon!”, 1995. It’s out of print. Though Greenidge gets no cover billing on this CD, he’s playing the steel pan. He’s been with Jimmy Buffett’s Coral Reefer Band since 1983. Earlier this year, Greenidge and his bandmates released “A Coral Reefer Christmas” on Buffett’s Mailboat Records label. This tune is not on that record. Some of our friends have sent along some tunes they thought you’d like. 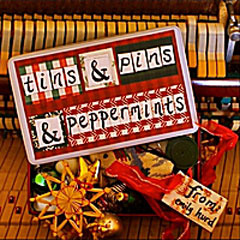 “Must Have Been A Mighty Day,” Emily Hurd, from “Tins and Pins and Peppermints,” 2010. She’s a singer-songwriter from Chicago by way of Rockford, Ill., where we have a mutual friend. It’s been interesting to listen to her style evolve, moving from loose and gritty to far more poised and polished. This tune has a bit of both styles. She previewed this record for fans last year, then released it this year. “Cashing In On Christmastime,” Charles Ramsey, 2010. He’s a singer-songwriter from Philadelphia who has some other nice, non-holiday stuff on his MySpace page. 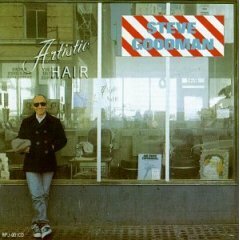 This genial, laid-back cut reminds me of Bob Dylan or Tom Petty with the Traveling Wilburys. “Christmas Medley,” the Midwesterners, 2009. A pleasant little instrumental featuring Richard Wiegel, the guitarist in this band out of Madison, Wisconsin. He was one of the guitarists in Clicker, the much-loved ’70s Wisconsin rock/pop/glam/show band we write about from time to time.